The term vintage is usually applied to clothing, but in recent times the term has spread to the world of jewellery. Vintage can mean either reproductions of antique jewellery pieces, or contemporary designs incorporating vintage-themed elements. 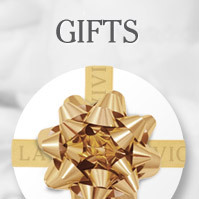 At La Vivion, our collection includes many vintage engagement rings, all featuring radiant diamonds. What Styles Of Vintage Engagement Rings Are Available? There are several different styles from different time and design periods that engagement rings draw inspiration from. Victorian – The Victorian period is measured by the span of Queen Victoria’s reign as Queen of England (1837-1901). The jewellery from this time was influenced by the many treasures from the ancient world that were being discovered. Rings took inspiration from ancient Egypt, Greece and Rome as well as Medieval Europe and 18th century France. Antique – Antique style rings are rings that take their inspiration from pre-1920s pieces. A lot of the rings and jewellery made during this period had an influence on later styles including Victorian, Edwardian and Art Deco. Antique vintage engagement rings tend to be delicate and are made with an emphasis on small details. Edwardian – The Edwardian period fell during the years following Queen Victoria’s death (1901-1910). As Britain was enjoying a period of great prosperity, platinum was the favoured metal for rings during this time. Edwardian designs are all about extravagant, rich designs as a display of wealth. Art Deco – Art Deco is one of the great design movements of the early 20th century. It began life in America in the 1920s and soon spread across the world. Engagement rings created using the Art Deco philosophy utilise clear, sharp lines and bright colours. They may also include details inspired by Africa, Egypt and Japan. Our collection of vintage themed rings takes inspiration from all of these art styles. 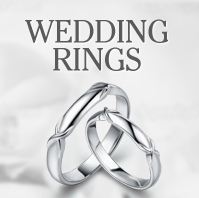 Make sure to browse our collection to pick out the right ring for you! What Do You Need To Know About Engagement Rings? Traditionally, an engagement ring is made of two constituent parts: the diamond and the setting. They can vary in single stone rings, to more extravagant vintage engagement rings. The main points to consider when selecting the diamond for your ring are the 4 C’s: carat, clarity, cut and colour. 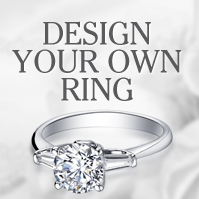 If you take these into consideration, you’ll be sure to design a ring that you will cherish forever. An engagement ring is supposed to cost an average of two-month’s salary. However, while this convention is a good place to start, we believe that you should be focussing on quality and value for your ring. We can help you pick out the best vintage engagement rings on your budget at La Vivion, or even create your own style with our design your own engagement ring option. An engagement ring is a symbol of your commitment to your partner, so take your time when choosing your ring – after all, you’ll want it to last a lifetime! For more help on choosing the perfect vintage engagement ring, contact our team today on 0800 046 1340.